When the cold hits, you’ll want to wrap yourself in a long, wooly scarf – something soft and luxurious to hibernate in. 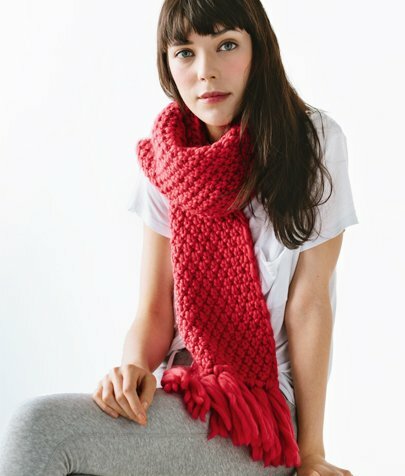 Enter the Moss Stitch Scarf! It’s equal parts warmth and swingy winter drama. 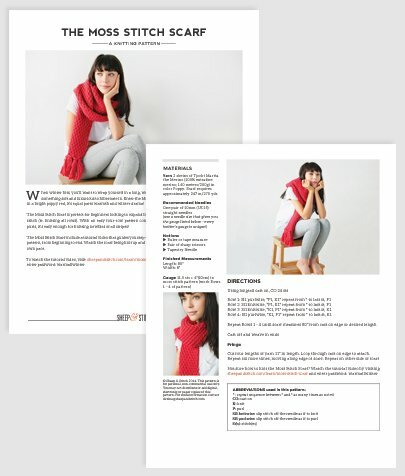 With an easy four-row pattern made up of knits and purls, it’s perfect for beginners looking to expand beyond the basics. Best of all, it knits up quick in bulky weight yarn. Instant gratification! 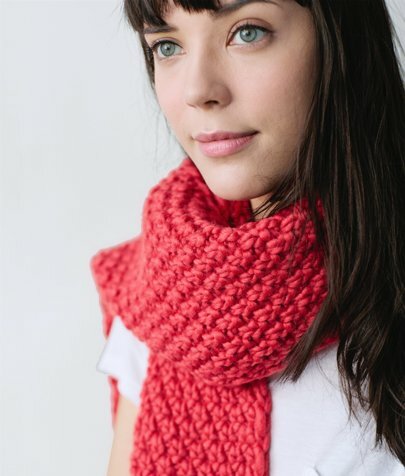 The Moss Stitch Scarf Pattern includes a 28-minute HD video tutorial that guides you step-by-step through the pattern from beginning to end. Watch the scarf being knit up and follow at your own pace. It’s like having a knitting instructor at your side!